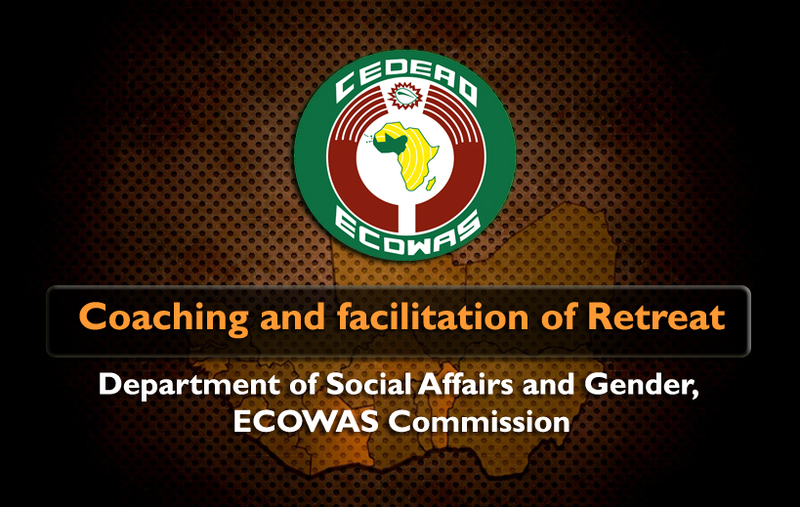 Coaching and facilitation of Retreat for Department of Social Affairs and Gender, ECOWAS Commission. 2. Provide brief training on Results Based Management (RBM) covering Results Based Planning, Results Based Budgeting, Results Based Monitoring and Evaluation. 6. Define the parameters and strategic orientations of the budget and programme of activities of the department for 2018. About Project: The project entailed coaching on the Strategic Orientation of the ECOWAS Community Strategic Framework (CSF 2016-2020) and training on Results Based Management (RBM) covering Results Based Planning, Results Based Budgeting, Results Based Monitoring and Evaluation for the Department of Social Affairs and Gender, ECOWAS Commission. Job Description: Coaching, facilitator, strategic planning.